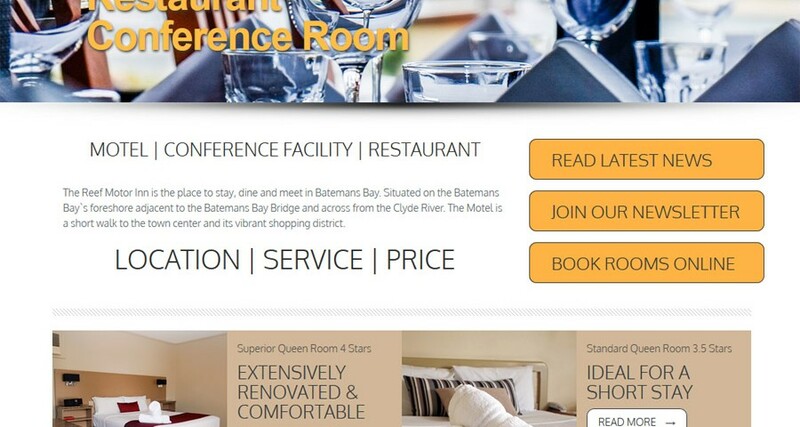 A great example of 8WEB being able to help their clients long term is The Reef Motor Inn in Batemans Bay. Early 2011 we built a WordPress site to feature the in-house restaurant – Reef Steak and Seafood Restaurant. 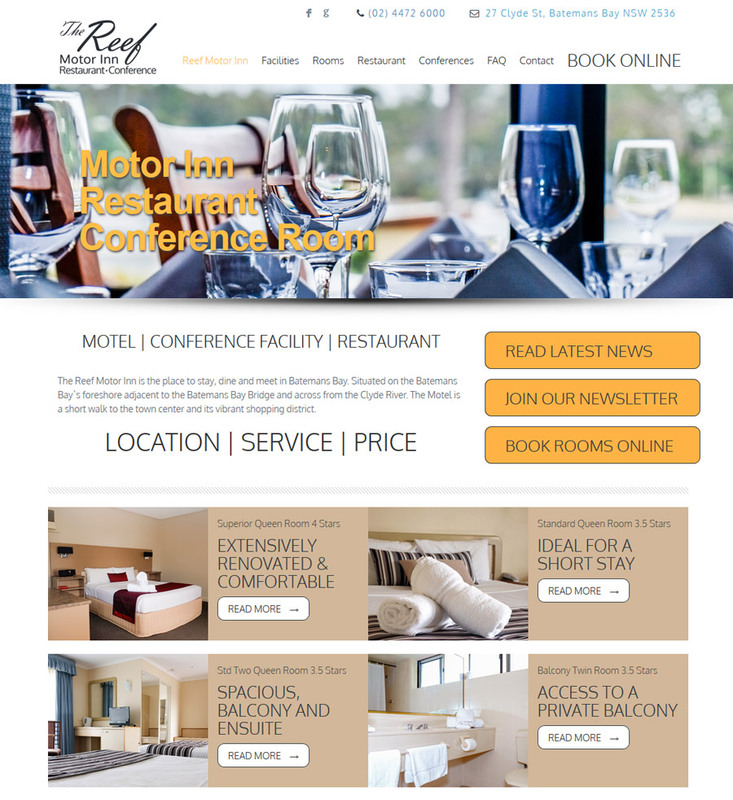 A few years later the client was interested in setting up a website for the motor inn, to feature to the rooms, function venue and to link to their own online booking system. Working together we have been able to help the client with: professional photography, webdesign, social media setup and management and newsletter management.